This project involved getting lucky in finding the raw materials I needed at just the right time. 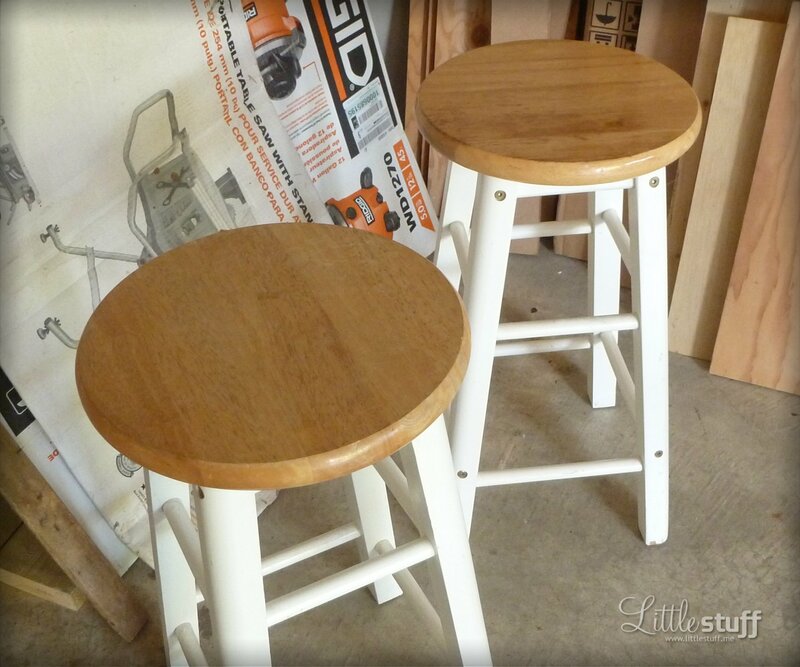 The first bit of luck was finding these wooden stools in great shape at a thrift store for only $5 each. 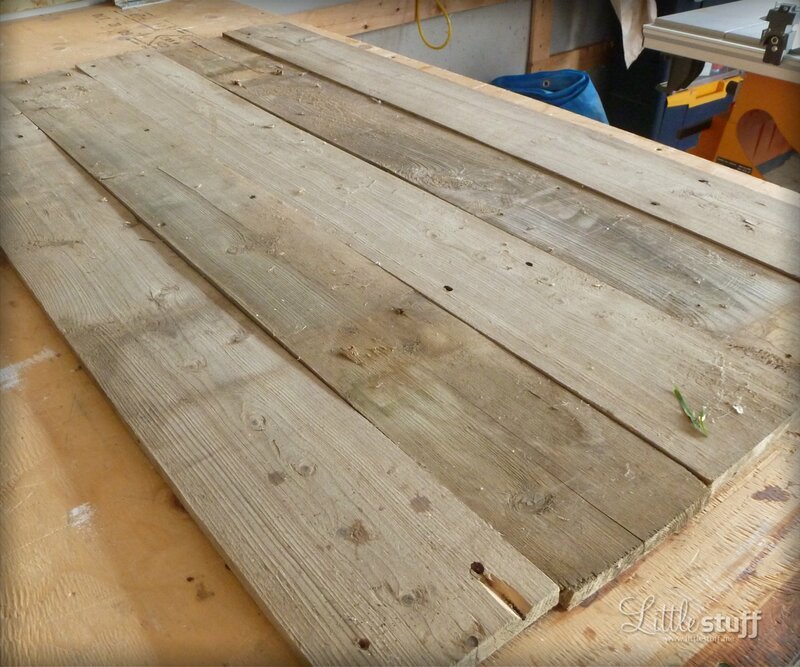 The second was coming home after a fruitless search of yard sales for weathered barn wood to find my husband creating a pile of stuff to throw away from an old shed in the back yard. These boards just happened to be sitting at the top of the pile, covered in spiders, spiders webs, and spiders nests. No matter — they were free! The first step was to create a template for the table top, using some scrap cardboard and the old pencil-tied-to-a-string circle making method. Next I traced around the template onto my wooden boards. 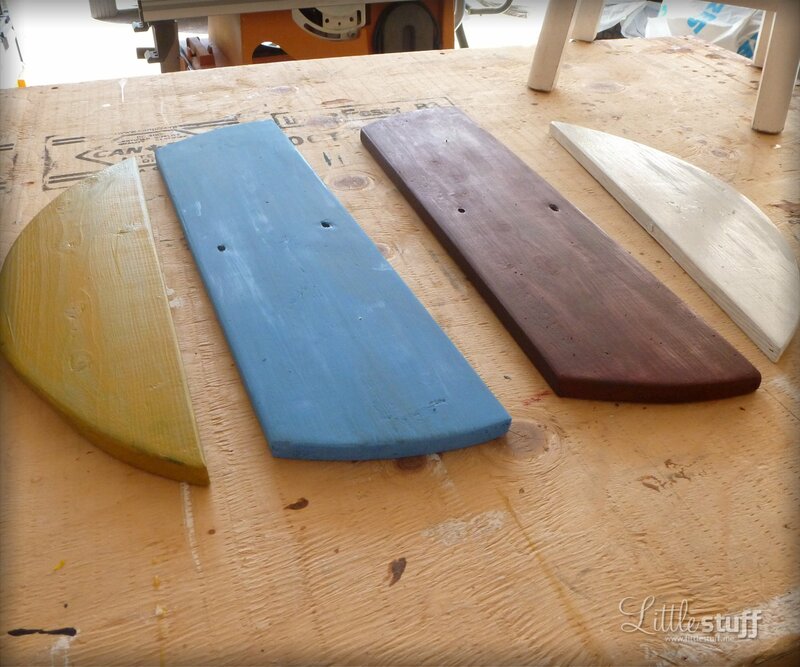 …then sanded the surfaces and edges smooth with a hand sander. I used a layer of black paint as my base coat. For the second coat I applied various colours of craft paint. After that dried it was time to sand away some of the top surface. It has to be done gently to avoid going through both layers of paint. 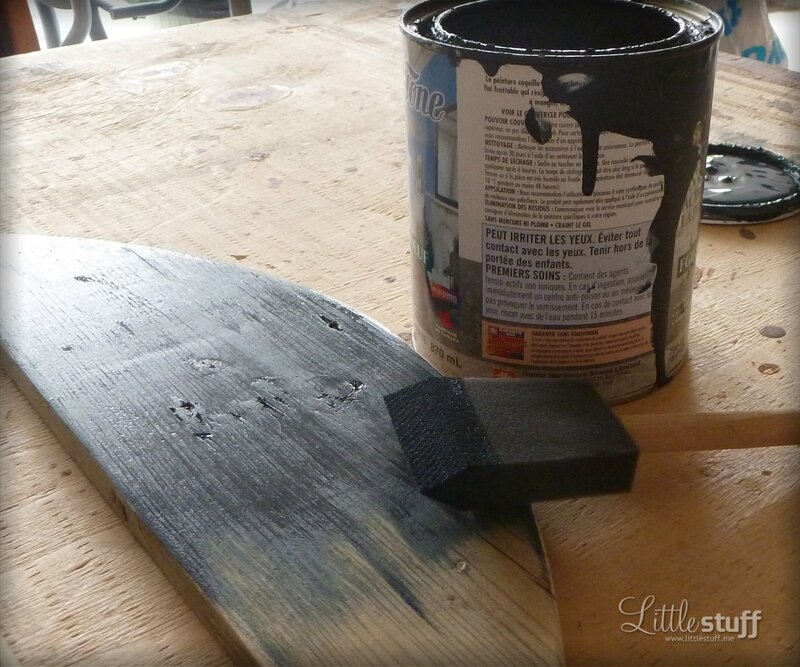 The idea for this rustic distressing is for the black base coat to bleed through on the raised parts of the woodgrain. …and attach the base to the new table top. It was easy to attach using the existing hardware. And the final step was to add a clear coat of polyurethane over the whole sh’bang. Not only does it protect the wood from coffee cup spills, it also really makes the colour pop. And here she is! The finished product. I have to say, I’m really pleased with the result! We’ve finally got a place to rest our drinks without having to pull out those pesky folding TV tray things. Great project! Looks very cute!